'SIOUXLAND COTTONWOOD' - selection from South Dakota State University. 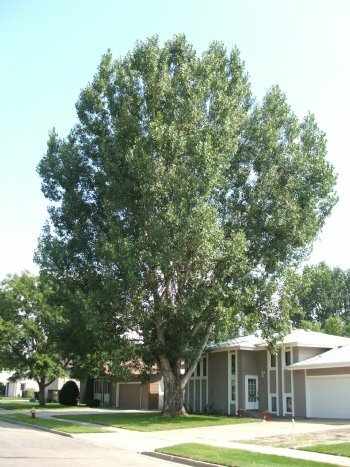 A large, vigorous, cottonless male tree to 70 feet in height on favorable sites, spreading crown in open areas but with a tall, central trunk when crowded. Selected for leaf rust resistance.